An air conditioning system distributes cool and/or dehumidified air to an entire home. When your air cooling system is engaged, it should begin to pull air into the return ductwork throughout the home. When the air is pulled in, it’s drawn through a filter that removes any form of debris in the air. A more advanced system will be able to remove even microscopic sized pollutants from the air. The filtered air is then carried through the ductwork where it is chilled and distributed to the rest of the home. This process continues repeatedly. Gas Packs are considered the “all in one” HVAC system. This system combines your gas heating and electrical air conditioningall outside the home with the ductwork running beneath the home. The thermostat is the only portion of the unit that resides inside the home. The Gas Pack system is considered the easiest to install of all types of HVAC systems. Gas Packs use Natural Gas for the heat source, but can be converted to accept liquid propane like most gas furnaces. 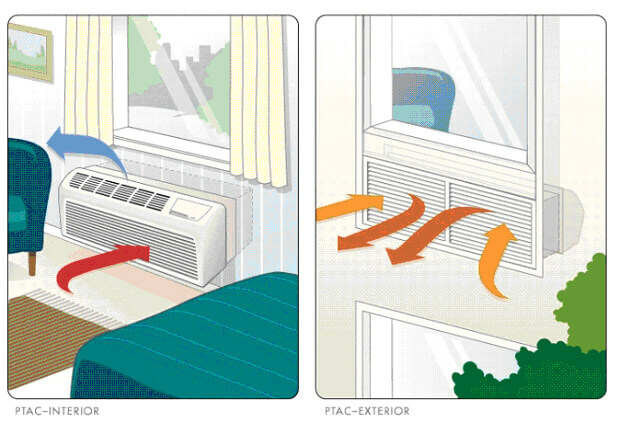 The most commonly found HVAC system in an apartment, classroom, or hotel room. This is the self contained unit with air conditioning and heat levels controlled from the location that delivers the air. The types of units allow for each space to have customized temperatures that are controlled within the area. Air may be delivered through the unit on the wall or through the wall depending on how it is installed. PTAC units have come a long way and they are more energy efficient that ever. If your home was not constructed with forced air ducts then a mini-split system might be your best option. This system allows for central air without a duct system by piping unique refrigerant coils within air handlers throughout. Most central A/C systems have a single refrigerant and central duct work. The mini-split systems has the benefit of an entire house cooling system with the flexibility of room air conditioners. 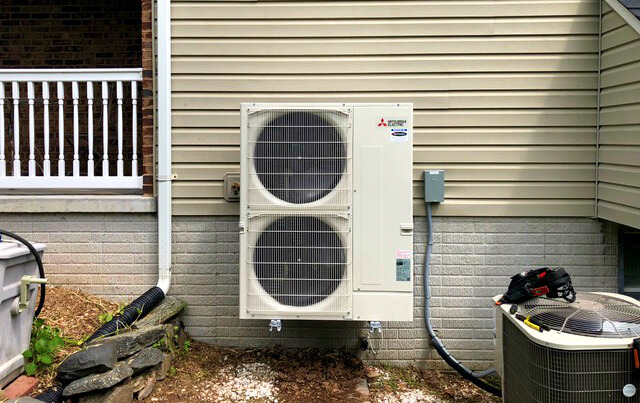 We are certified with Mitsubishi systems, the preferred industry leader of heating and cooling systems. 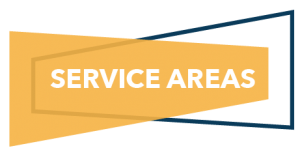 Their systems are the most energy efficient (and therefore, cost-effective) that we’ve found in our years of service. 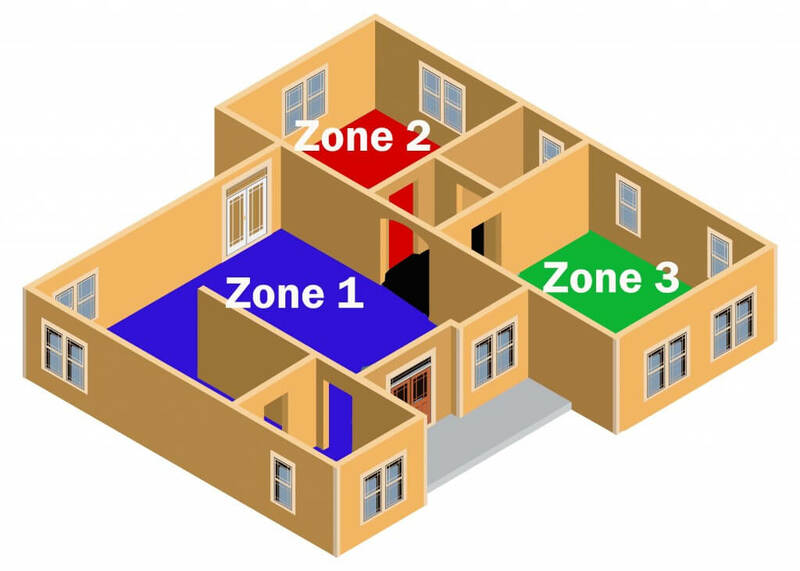 Zoning allows you to control the climate within your home wherever and whenever. This is beneficial in a situation where you would like to keep a bedroom cooler than a common living space. Beyond the comfort and convenience of a zoning system you also save in energy cost because you cut out unwanted cooling. 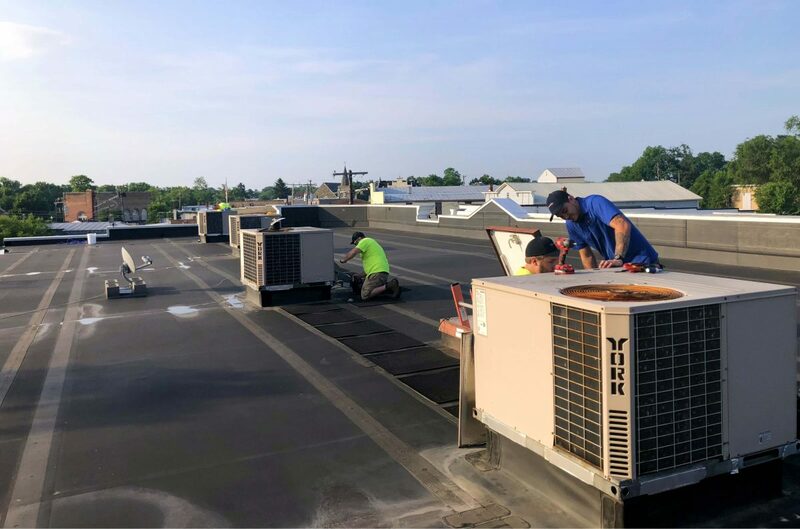 Whether it’s for your home or business, if you’re interested in any of these products, feel free to schedule an estimate using our form here on this page, or call our service line at 1 (800) 647-2581.